When I heard that there was a new hair styling product on the block – I didn’t expect this. 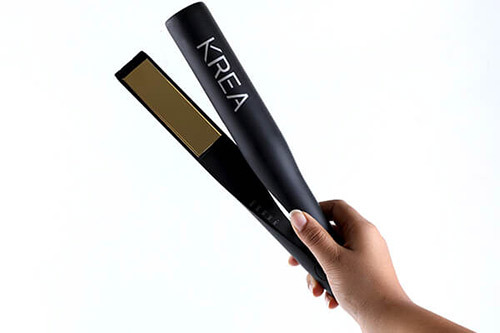 This – the KREA OMNISTYLER. Fit to blast all previous hairstyling devices off their pedestals. Its ready to usurp any previously occupied throne – and it looks as good as it performs. Actually, I think the list can go longer. But that’s just to show you how KREA OMNISTYLER, does things differently. It does every other hairstyling device one better, even just by being able to straighten AND curl. But let’s not get ahead ourselves yet. 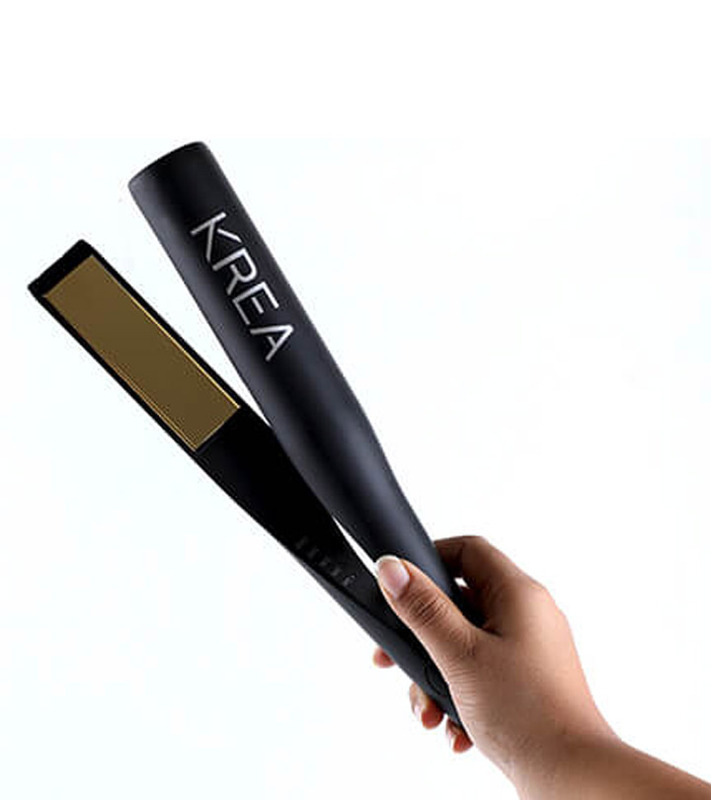 I want to give you all the real facts about this almost perfect hairstyling device – so you can decide for yourself if you agree it’s perfect or not. Here are the top 7 reasons why the OMNISTYLER beats the likes of Philips Kerashine Straightener, Babyliss Ceramic Plates Hair Straightener, Braun Straightening Iron, and many, many other top styling devices! Caption: Feels light, yet powerful to hold! 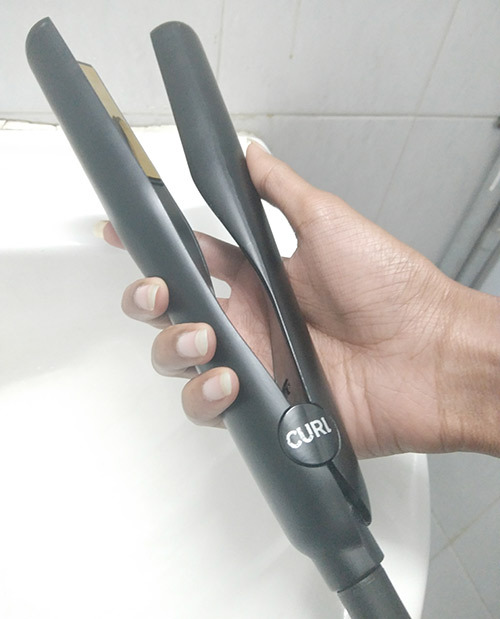 Unique Dual Function – Straighten AND curl your hair! With the highly precise PTC Heating component, easy 5-Step-Temperature-Controls – you can style with speed. Switch between wavy and straight hair if you want, without using 2 tools! Speedy Styling – OMNISTYLER can curl or straighten hair in less than 10 minutes! Those intricate hairstyles will also take only a fraction of the time than with any other tool. 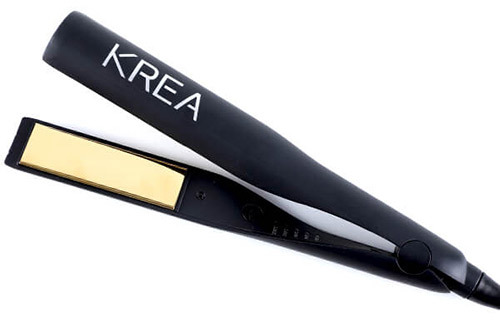 Precision Heating – KREA OMNISTYLER has a PTC Heater, which is much more precise than MCH Heaters used in other irons. 5 preset temperatures to style your hair with accuracy and consistency. Safest Straightener/Curler around! – OMNISTYLER’s PTC Heater also has a maximum temperature of 400 degrees F. Rapid cool down, no damage to skin, hair, scalp nor to internal parts. 60-minute auto-shutdown feature for responsible styling! Simply Convenient – With OMNISTYLER, curling isn’t a new trick to learn – it’s as familiar as straightening. And is just as safe. 5 adjustable temperature settings, from 350 to 400 degrees F.
Dutifully Dependable- OMNISTYLER is truly durable – because of the safer heating option used in it. No additional heat is generated, so it won’t damage internal parts. You can use for long hours without worry, if needed. You also get a 1-year easy replacement warranty. 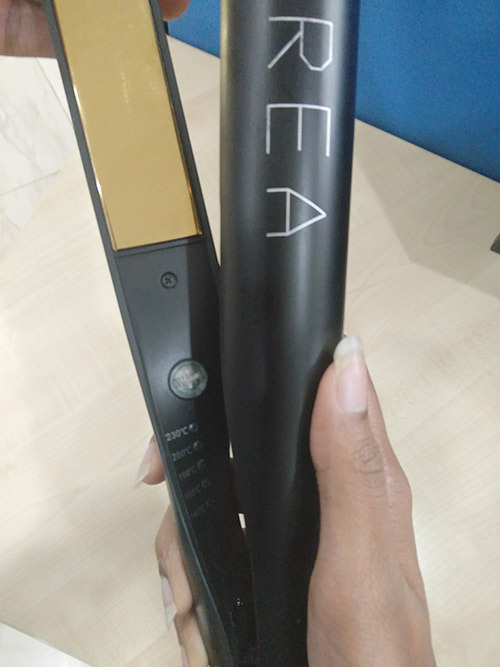 Elegantly Efficient – OMNISTYLER has angled arms, a special feature different from any other straightener available in India. 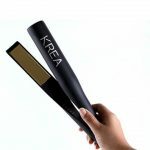 – to help section and curl hair efficiently, and innovatively. It is built to listen to what you want out of of your hair! It looks gorgeous! Black and gold. Classic colors that foretell a dependable, versatile device. In my hand, it feels substantial, but not too heavy that it strains my hand within minutes of usage. It’s got a long 2 feet cord, that also swivels – so it’s very comfortable to hold and move around. 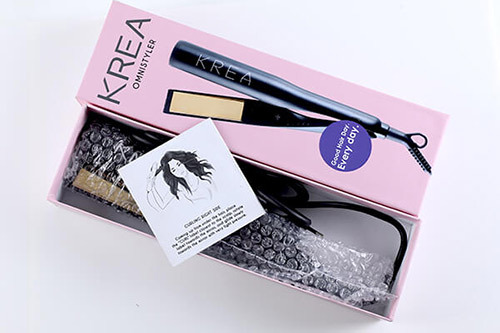 When we received KREA OMNISTYLER for a review, we didn’t know what to expect. It looked stunning, but it’s claims were large, and we wanted to test those claims out. I began with my hair clean and ready. Sprayed on some heat protectant – and I was ready to go! Getting pin-straight hair hasn’t been easier. The angled arms really help section hair better than usual straighteners, because it fits better on the contours of my head. To straighten, I simply had to place the side opposite to that of the label, closest to the scalp. Then I had to glide down my hair with very light pressure. Honestly, the danger of using a curling wand was too much. I sweat, I try to be overly cautious, and still burun myself. OMNISTYLER changed the curling game for me. Curling feels as simple as straightening! As is just as safe! To curl, I lifted my right elbow, and placed the side with the “CURL” label closest to the scalp. Then I twisted the “CURL” label side towards the mirror, and glided slowly towards the mirror with light pressure . Both sides can have even-looking and gorgeous curls, with OMNISTYLER. For the left side, I lifted the section of my hair that I wanted to curl, placed the “CURL” label closest to the scalp. Then I rotated, and glided towards the mirror, with light pressure. THE RESULTS! THE RESULTS! THE RESULTS! 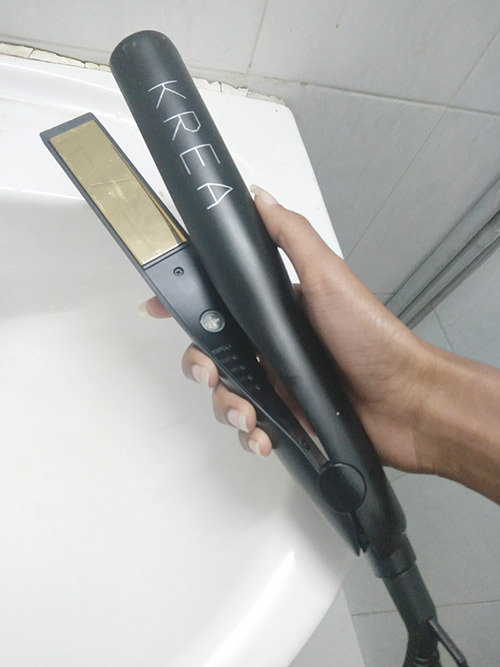 So I was able to achieve about 5 distinctly different curls with KREA OMNISTYLER. From tightly-wound curls to loose, beachy waves. All you have to do is follow their instructions well. I will admit, it took a couple of tries. And some more heat protectant spray the first couple of times. But it’s so satisfying once you get the hang of it! And it’s great that you can truly make your shairstyle your own – as you can greatly vary the curl depending on the angle, temperature and motion that you use. 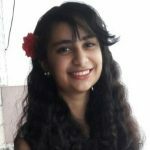 I even tried it such that I straightened the top half of my hair, and then curled the bottom half – for that seamlessly styled hair that’s my favourite hairstyle! All in all… I was very gladly, and pleasantly blown away by what the OMNISTYLER could do. Fundamentally – the OMNISTYLER is a 2-in-1 hairstyling tool. Personally – it’s much more than that. It’s a time-saver. It’s style-creator. It’s a confidence-builder. It’s even a safeguard against my own forgetfulness – I’m talking about the 60 second auto-shutdown feature. I approached KREA OMNISTYLER with zero expectations. Its looks match its function – which is more than I can say for a lot of styling tools out there. Yes, it is pricey, but for the quality, safety, and absolute versatility that the OMNISTYLER is capable of achieving – it’s worth more than what you pay for. I’d recommend it to anyone – beginners, professionals, and intermediate users – basically anyone looking for a reliable powerhouse of a hairstyling tool!